Since the advent of the mantle plume hypothesis in 1971, scientists have been faced with the problem that its predictions are not confirmed by observation. For thirty years, the usual reaction has been to adapt the hypothesis in numerous ways. As a result, the multitude of current plume variants now amounts to an unfalsifiable hypothesis. In the early 21st century demand became relentless for a theory that can explain melting anomalies in a way that fits the observations naturally and is forward-predictive. From this the Plate hypothesis emerged–the exact inverse of the Plume hypothesis. The Plate hypothesis attributes melting anomalies to shallow effects directly related to plate tectonics. It rejects the hypothesis that surface volcanism is driven by convection in the deep mantle. Earth Science is currently in the midst of the kind of paradigm-challenging debate that occurs only rarely in any field. This volume comprises its first handbook. It reviews the Plate and Plume hypotheses, including a clear statement of the former. Thereafter it follows an observational approach, drawing widely from many volcanic regions in chapters on vertical motions of Earth's crust, magma volumes, time-progressions of volcanism, seismic imaging, mantle temperature and geochemistry. This book is indispensable to Earth scientists from all specialties who are interested in this new subject. It is suitable as a reference work for those teaching relevant classes, and an ideal text for advanced undergraduates and graduate students studying plate tectonics and related topics. 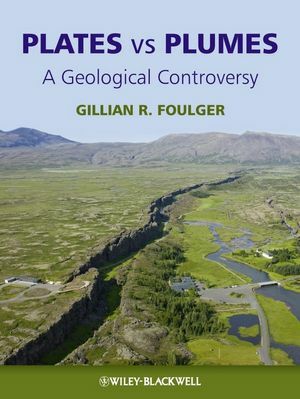 Gillian Foulger is Professor of Geophysics at the University of Durham where she has worked since 1985 on earthquake seismology and plate tectonics. She lived and researched in Iceland for seven years, where she acquired a mistrust of theories that do not fit practical observations without contortion. She manages the world-famous website www.mantleplumes.org and is widely acclaimed for leading the global debate regarding the existence of mantle plumes. For this she was awarded the prestigious Price Medal by the Royal Astronomical Society in 2005.